From the pioneers of surfing to those who put the sport on the map, there are quite a few surfing heroes out there. Can you remember the first time you were inspired to take to the waves? Of course, you can. Who was your inspiration or is still today? In this post we take a look at some of surf’s biggest names, their accomplishments and what makes us look up to them. Commonly referred to as the father of modern surfing, Duke Kahanamoku was a professional swimmer and surfer in the 20th century. Duke took to water like a fish, and broke a couple of world records along the way. In 1914, Duke introduced surfing in New Zealand and Australia. He won an Olympic gold medal for the 100-meter freestyle at the very young age of 20 and remained the United States’ representative for 20 years. Duke raised funds for war efforts in 1918 by swimming at exhibitions in more than 20 cities. One of the very first ‘wild ones’ in the world of surf, Miki Dora is known for his nonconformist beliefs and passion for surfing. He had a troubled childhood and found his passion for the ocean from his stepfather, Gard Chaplin who was also a pro surfer. Miki’s nickname ‘Da Cat’ was derived from his nimble footwork on the longboard. Coincidentally, he was also responsible for popularising longboarding. Miki is considered to be the very first superstar of surfing. A bit of an outcast and rebel, he was arrested in 1973 for grand robbery and fraud. Known for his marvellous skills in capturing breathtaking footage of surfers and waves, Bruce Brown is the mastermind behind the iconic movie, The Endless Summer. Even though Brown had made other surf films before this cult classic, it was The Endless Summer that put surfing on the map. Brown made his very first surf film in 1955 in Hawaii while he was in the navy. He was a mere 18 years old at that time. The Endless Summer outsold My Fair Lady at its first screening in Kansas in 1965. The movie was dubbed one of the ten best films of 1966 after re-edits. The Endless Summer changed the way people saw surfers and surf culture. Instead of being portrayed as beach bums, the movie brings to light the perfectionist and passion inside each surfer. 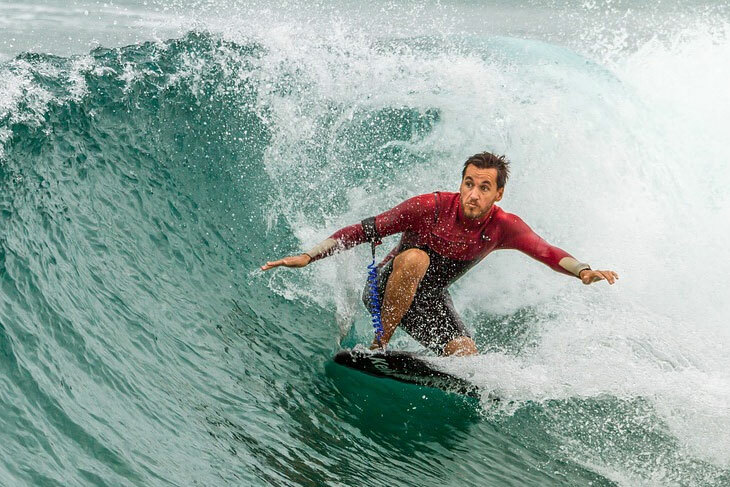 Thanks to these big names, surfing has become one of the most popular water sports today. We have listed our favourite influencers; do you have any to add to this list? Even if we wanted to, we wouldn’t be able to surf anytime we felt like it. There will always be those days when you simply can’t. And if you can’t catch some waves, the next best thing is to watch some of the most iconic surf movies at home. We bet you’ve watched some of these already, or perhaps you’ve seen them all. Nevertheless, here’s our top pick of the very best surf movies of all time! This 1966 classic features Robert August and infamous Mike Hynson, traveling around the world in search for the perfect wave. Be inspired to surf and travel at some of the world’s best surfing spots when watching this cult classic directed by Bruce Brown. 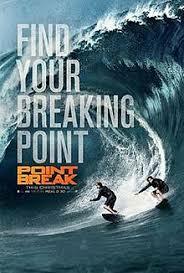 Keanu Reeves and Patrick Swayze teams up in this thriller where Swayze leads a band of surfer convicts. Reeves plays an FBI agent who infiltrates the group toarrest the mob who keeps robbing banks. 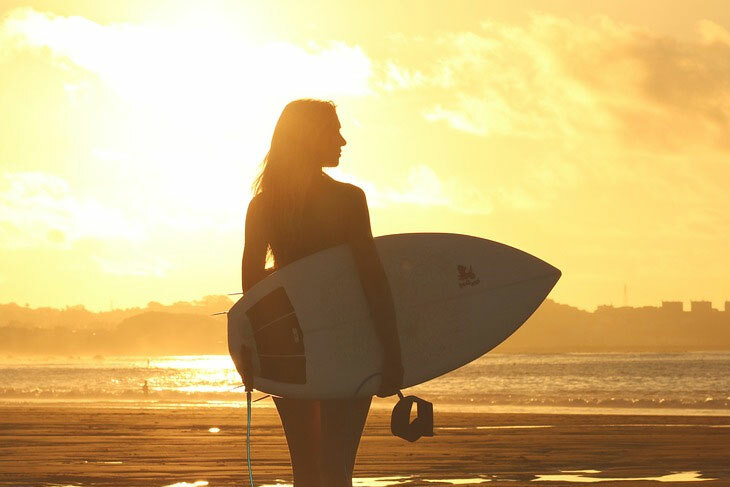 It features loads of surf scenes, romance and drama. This classic follows the trials and tribulations of three friends as they grow into men. All three of them of course talented and passionate surfers. Follow their journey through life as they stumble and fall, get married and of course, surf. 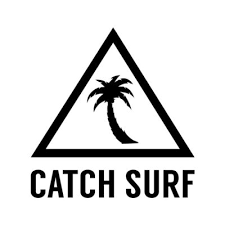 This documentary is a definite must-watch and features some fantastic surf scenes with pros like Laird Hamilton, Taj Burrow and Keala Kennelly. 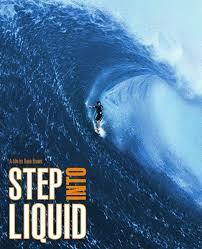 Great waves and one of the first documentary films to highlight professional female surfers. Based on a true story, the inspirational tale of Bethany Hamilton’s close encounter with a tiger shark and how it influenced her pro surfing career. After losing her arm, Bethany has to overcome the obstacle that life throwed at her and perseveres. 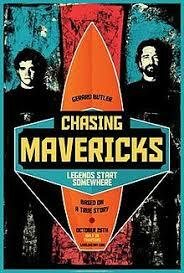 Another true story, Chasing Mavericks tells the tale of a young boy who is saved by a pro surfer, Frosty Hesson. The boy looks to Hesson as a mentor who then teaches him everything about surfing. 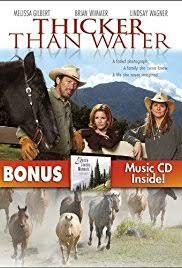 Expect romance, suspense and of course, magnificent mavericks! This drama features three pro surfers on a journey across the globe in search of epic waves. Even though the plot is not great, you can expect great shots and visual imagery that will get you psyched for your next surf. 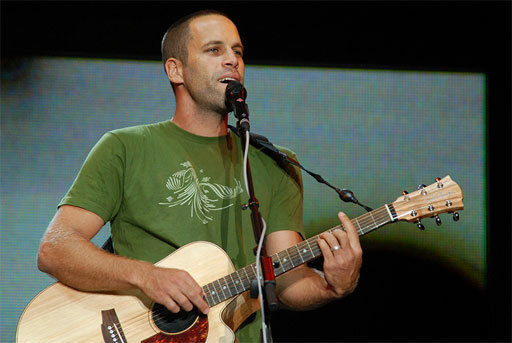 This film by musician/surfer Jack Johnson and the Malloys is a definite must-watch. Follow a group of friends as they travel around the globe in search of the very best waves and surf spots. Think camaraderie mixed with the surf lifestyle. And that’s a wrap! 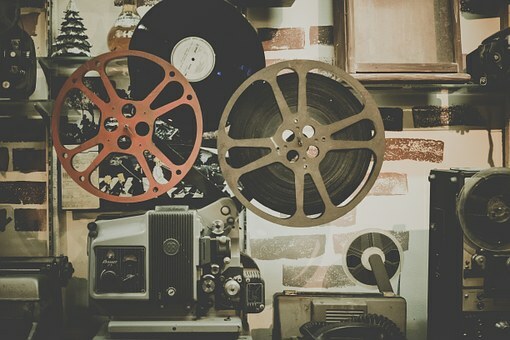 Have you seen any of these classic films? Which is your favourite? Enjoy and remember there will always be some way to feed your need for salty water! Something that’s gaining traction nowadays is surf camps. Not only are they offered in exotic locations, but they offer you the unique opportunity to learn how to surf while traveling. Now, you may think that it is probably very pricy and only accessible to those who are rolling in money. Think again! There are a couple of these camps that are on the pricier side, but in general you’ll be able to attend a 6-day surf camp with as little as £400. 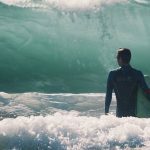 In this post we take a look at some of the best surf camps out there, their cost, and what you can expect from them. Ready? Let’s go! This surf camp is hosted by Skyla’s Surf & SUP, and runs for a total of 6 days. The camp is perfect for newbies and intermediate surfers who’d like to sharpen their skills. 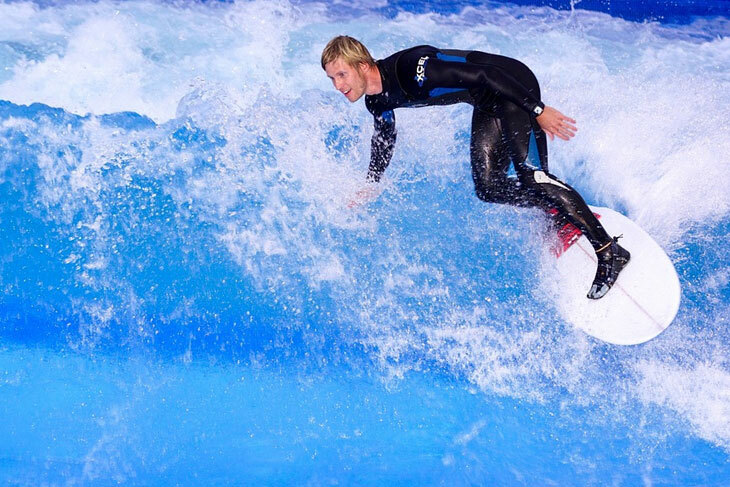 It includes five surfing lessons focusing on surfing and longboard surfing. Your accommodation and meals will be included in the package that will cost you around £310. You’ll also get two complimentary Thai massages to keep those muscles supple. As far as location and value for money goes, you can’t get better than this! The perfect spot to learn how to surf, or to enjoy the company of other surfers, booking this camp won’t disappoint. The beautiful beaches of Santa Teresa have loads to offer everyone looking to learn new skills or how to surf. Whether you’re a pro, beginner or intermediate surfer, you’ll be able to benefit from this camp. At a very low cost of £448 you’ll get six surfing lessons, tips and coaching, meals and accommodation and much more. Think of this camp as the ultimate opportunity to sharpen your skills and discover the magical beaches of Costa Rica. Imagine eight days of bliss with six surf lessons and six yoga sessions on a daily basis. Heaven! This camp is hosted by The Surfer Weligama in Pelena and includes all your meals and accommodation. 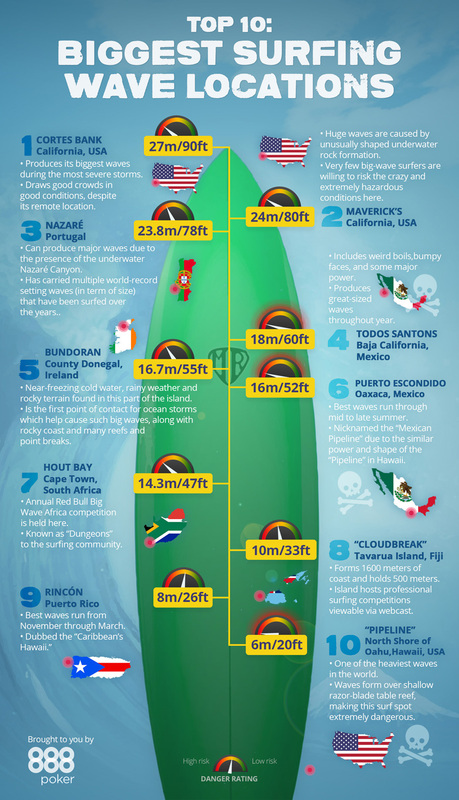 It is however specifically aimed at advanced and intermediate surfers. You’ll also have access to surfboards and have plenty of time available to dash around in a scooter and discover Sri Lanka. The package will cost you about £344 which is pretty reasonable considering all your basic expenses plus classes are covered. 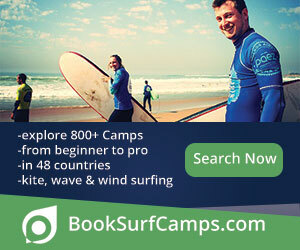 This camp is offered to surfers of all levels and is available year-round. The location alone is breath-taking, and allows you to get lessons at some of the hottest surf spots in Bali. The lessons include theory and video analysis and is hosted by hosted by Surf WG Bali. Experienced surf instructors will take you on two surfing excursions daily, while you’ll also have time to explore the beautiful beaches during some free-time. At around £422 breakfast, surfboard rental and accommodation are included. Are you ready to book your ticket and get lost in the surf? Which camp would you prefer going to? All of the ones we’ve discussed are perfect for all levels, so your options are wide open! So, you’ve booked your ticket and you are amped to get to Fiji to test the waves. But are you prepared? Will you be able to find your way? 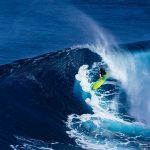 In this article, we provide some practical tips for beginners, intermediates and skilled surfers for their first surfing trip to Fiji. Everything about this destination is something to look forward to. Just think about those long stretches of white sandy, the gentle roar as the waves crash, palm trees and cocktails. Now, imagine going into the warm water, board in hand. If you want to be sure you get the perfect swells of 8-10 feet, you’d better be there between April and October. If, however you don’t mind all that much, anytime is a great time to surf in Fiji! There are plenty of fantastic surfing spots in Fiji, but it all depends on your level of proficiency. Next, we’ll highlight the best surf spots according to difficulty. Think great swells in different shapes and sizes, reef peaks and groundswell. All these spots are perfect for beginners and you’ll have a ball of a time finding your feet. The best out of them all to try out for a first time is Natadola. Natadola resort beach offers beginners the opportunity to body surf or get started and get a feel for the waves. The inside reef peak here is perfect for longboarding. Namotu is known as the best longboard wave in Fiji, but it can be fantastic for shortboards too. It’s also the perfect spot for surfers of all levels, especially when the swell is 3ft. But things become more fun when it reaches 8ft. Another resort that’s perfect for all levels is Wilkes. Remember to keep an eye out for the reef and rips when you decide to give these deeper waters a test. 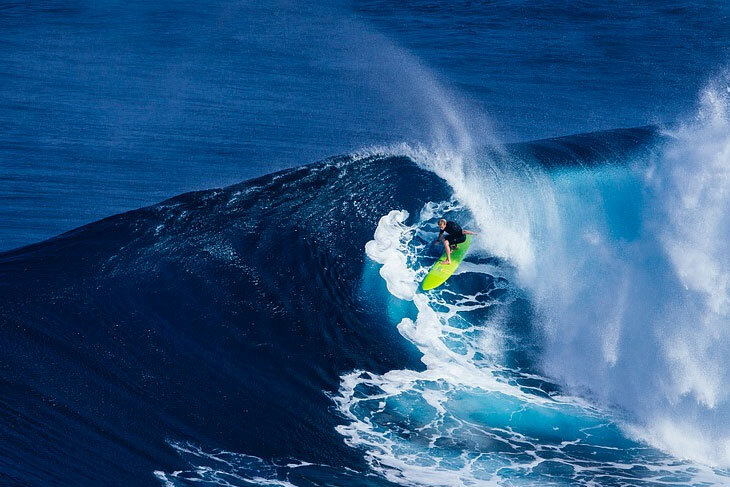 Cloudbreak is specifically known as one of the best or most difficult waves in the world. Who wouldn’t want to give it a shot? Think along the lines of 20 feet swells and challenging conditions that attracts the best of the best in the world of championship surfing. Restaurant might not be as popular as Cloudbreak, but if you are lucky enough you can get some pretty rad tubular waves. Now that you’ve got all the details and all the hot spots, you should start looking at booking your ticket and getting over there! Who doesn’t love traveling and discovering new beaches, waves and currents? There are a lot of those “must visit” surfing spots around the globe that you’ve already marked. But have you included some of ours? 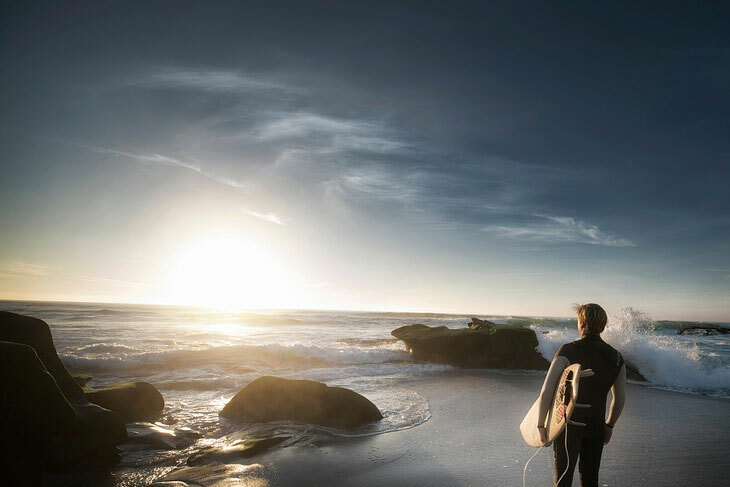 In this post we share our list of the top seven surfing spots from all around the globe. Let’s dive in! Did you know that Playa Grande is home to the nesting grounds of leatherback turtles? That’s the second largest to be exact. Playa Grande also happens to be the very best spot for surfing in the whole of Costa Rica. Perhaps not the warmest of waters, but surely one of the best spots for surfing. Bundoran has a rich surfing culture with loads to offer tourists and those looking for the perfect swell. You’ll be happy to know that accommodation is also very affordable. In Sydney, you’ll find Bondi Beach. The most popular beach in the whole of Oz. Tourists visit it for the pearly white beach, while surfers come for the perfect surf. Entertainment also abounds if you’ve had your fill of the waves. Taghazout is a tiny fishing village that is located in the south of Morocco. What we love most about this destination is the peace. It offers great surfing experiences while crowds won’t trample you. The best time for skilled surfers to visit Taghazout is between April and September. About a mile off the island you will find Cloudbreak. Cloudbreak is known to be one of the most popular breaks in the world of surfing. You’ll only be able to get to it if you stay at the Tavarua surf resort and are towed in, depending on the size of the break. Yes, Biarritz is a very popular resort town. But, it is also perfect for surfing as discovered by the locals who have been surfing there for years. If you ever visit France in the summer or spring, be sure to visit Biarritz for some great surfing experiences. Maybe not a surf destination for the wild at heart, and perhaps a better option if you want to relax. This little village in Sri Lanka offers steady waves and great surfing opportunities during season. The best time of year to visit Arugam Bay is from May-November. Does our list feature any of your ‘have to visit’ surf destinations? 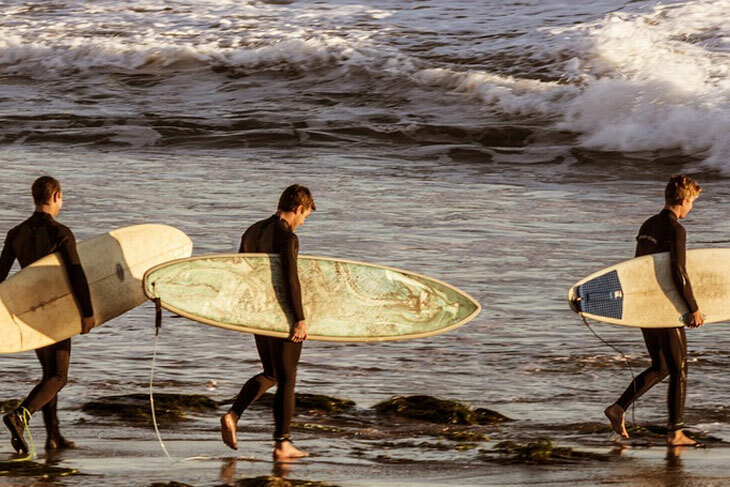 Whenever you get around to it, enjoy your time at any of the surf spots on our list. 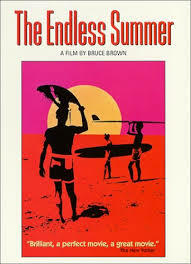 Most of us know Mike Hynson as the surf rebel in the cult classic The Endless Summer. There is a love-hate relationship most surfers have with Hynson. He had gone rogue after the huge success of The Endless Summer and completely tried to undermine Bruce Brown. Mike Hynson remains one of surf’s icons, and rightly so. Hynson was in the navy during the 40’s and 50’s after which he started absorbing the surfer way of life. He dwindled from one coastal town to the next, in search for the perfect wave, and ultimately the perfect surf. For Hynson to skip being drafted, he joined Robert August and Bruce Brown to make what is known today as one of the most iconic surf films ever made. Mike recalls the waves found in South Africa’s Cape St. Francis as being the memory that truly transcends the entire trip during the making of the film. In the film, it is suggested that Brown noticed these perfect waves. Hynson, of course, recalls the events of that day to be entirely different. According to Mike, he was the one who first stumbled upon and surfed on those heavenly waves. But there is something they could all agree with though; the spot and the surf was the ultimate find during the making of the film. After his great success with The Endless Summer, Mike had multiple brushes with the law. In 1994 he was convicted for possession of crystal meth. But, this didn’t stop one of the coolest guys to recover and regain control over his life. It’s no secret that Hynson has experienced a whole lot of rolls and tumbles over the years. Partying with rock stars and doing drugs did him no good. Even after hitting celebrity status Hynson still managed to lose the plot. He was married briefly to Melinda Merryweather, and together they have a son. The marriage did not last and Hynson continued to party. From his golden-boy status in the 60s and 70s, Hynson had a bit of a rough time. The world of surf’s golden child did however recover and now sells his gear. Hynson, now in his late 70s, is looking pretty well given his rough lifestyle. He’s dusted off the dirt and gotten back up. One can easily say that Hynson’s boards are amongst some of the best out there. To most of us, surfing is a way of life, and Mike Hynson sure lived it well. For more information on Hynson boards, visit the official website. Are you planning a trip to Bali sometime in the future? As far as surfing hotspots go, Uluwatu in Bali is considered to be one of the musts! Getting there is half the trouble, though. You may find that you need some extra tips to ensure you get the most out of your Bali surfing experience. 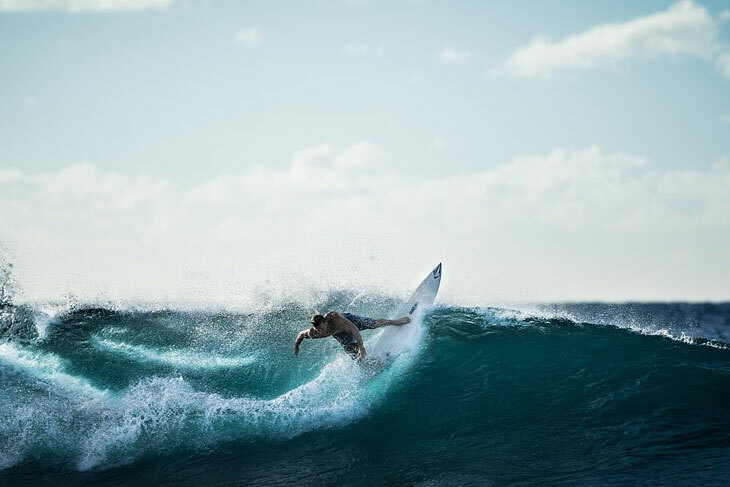 In this post we provide you with three of our top tips to make sure you have an unforgettable surfing experience in Bali. First-off, you need to know that Uluwatu consists of six main reef breaks that surrounds the coast. Each of these have their name; The Racetrack, Outside Corner, Peak, Bombie, Temples and Secrets from right to left. Peak and Outside Corner at the most popular reefs where you’ll find the majority of surfers. The best time to go surfing would be between mid to low tide. Simply go down the steps at Uluwatu. When you reach the cave, you can paddle out and start surfing! Even though a lot of surfers there are seen without them, we’d highly recommend you wear yours. Thanks to the area, you’ll be walking across reefs, and a lot of them. If you want to keep your feet unharmed, the best way to go is to wear your booties. It all depends on whether your soles will be able to take the rugged terrain or not. So, if you are up for it, you can do as the locals and surf without them. You are also probably wondering whether or not you should bring your board with or rent on when you get there. This all depends on your preference. It is very nice to have your board with you, but keep in mind that travelling costs on board bags and so forth can be ridiculous. When renting, you will be able to rent per hour or rent for 24 hours. The best advice we can give is to negotiate prices with the vendors. But all in all, renting a board is worth it when you’re surfing at Uluwatu. That’s our top tips for surfing at Uluwatu in Bali. Enjoy your time there! Whether you are an intermediate surfer or only starting out now, watching the pros compete is a definite must;if you can attend them, even better. We’ve compiled this list of all the upcoming events and competitions that you can’t miss. This competition features 24 of the greatest surfers going up against each other in Half Moon Bay. You can expect loads of excitement as these pro surfers compete on the big waves for the $30,000 prize. This competition takes place in 10 destinations where 45 male and 17 female pro-surfers will compete against each other. Surfers are judged on their technique, speed, power and flow. This competition features three legs where all contestants have to be able to adapt to the everchanging moods of the Hawaiian ocean. Each part of the competition is guaranteed to offer thrills and excitement. Get your tickets for Boardmasters and don’t miss out on this epic 5-day festival in the UK. For great music, surf lessons and a wide variety of extreme sports competitions, look no further than Boardmasters. The ninth leg of the Men’s championship is not to be missed. If you find yourself somewhere in the vicinity of Hossegor, France, you’d better get there! This event marks the tenth leg of the Men’s Championship surfing tour. If you can attend the event you should! Supertubos guarantees loads of barrels and excitement for the competitors. Keep your eyes peeled for the latest updates and news on all these exciting events and more!